Daring ourselves and others to think differently as we strive towards growth in business, education, art and life. Dan Aubin is interested in making ideas come alive in ways that create engagement and connection for the greater good. His company Daring Humans helps organisations and individuals develop in the areas of communication, collaboration, creativity and movement through keynote presentations, performance talks, workshops, education and coaching. For the past seven years, Dan was a lecturer at Charles Sturt University in the School of Communication and Creative Industries where he won a Faculty award for excellence and innovation in teaching. He continues to teach Communication Topics for CSU Civil Engineering. 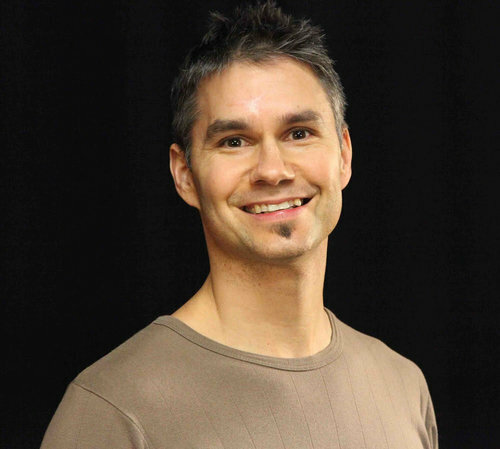 Dan has a background as an international acrobat, physical theatre performer, director and educator. He developed his foundations at the Olympic Training Centre as a Canadian national gymnast and coach. Dan moved to Adelaide in 2005 and became the Artistic Director and CEO of the South Australian Circus Centre, home of Cirkidz. He has degrees in English and Drama and recently completed a research thesis in Communication. His diverse experience in education, performance, business, events and coaching has given him a unique perspective as a leader who dares people to work in a holistic way and explore their humanity deeply. Dan is originally from Toronto, Canada. Thirteen years ago, he chased a lovely girl to Adelaide, South Australia. He now has two amazing kids and enjoys living on the coast in Victor Harbor (with the same girl). Since moving to Victor Harbor in 2016, he has become the President of the Victor Harbor Youth Club and is working with a fantastic committee to develop gymnastics and movement programs for young people and families.